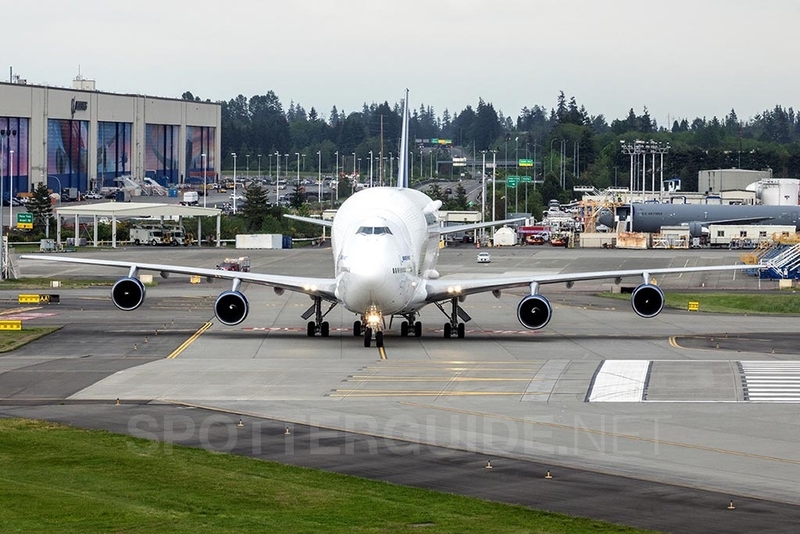 Paine Field, Snohomish Country Airport (PAE/KPAE), is the home of the Boeing Everett Factory, the world’s largest building by volume and the primary assembly location for Boeing’s wide-body 747, 767, 777, 787 aircraft. Paine Field is also home to four flight schools, Chinook Flight Simulations, Regal Air, Northway Aviation and Everett Helicopters making it a popular destination for flight training. There are also a number of flying clubs on the field. The most interesting traffics at PAE are all the Boeing new stuff for airlines, specially heavy aircraft 777, 787, 767, 747. KPAE is a very interesting airport, however you must be lucky to catch some interesting visitors, sometimes there is no movements for hours, except for the local aeroclubs. 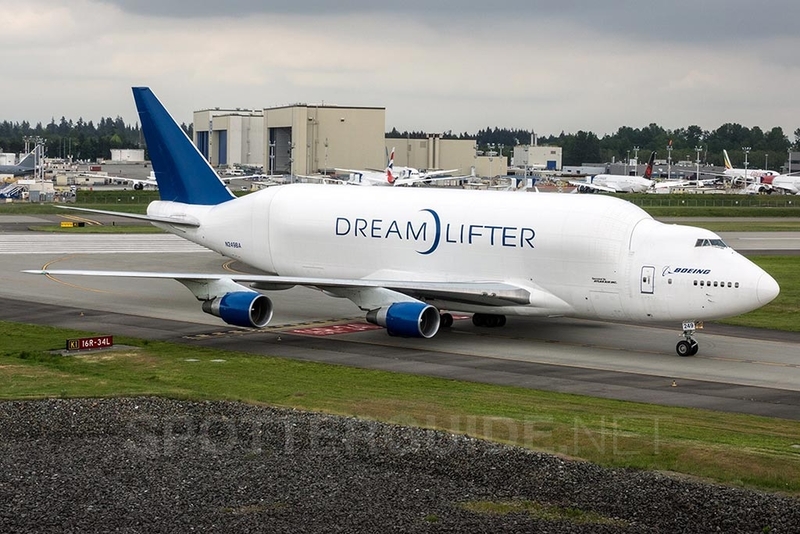 Dreamlifters come and go usually at least twice a day on weekdays, but the test flights or deliveries are very unpredictable. WEARING When the wind is not particularly strong, landings and take-offs can happen from both directions, according to the apron where the aircraft is based. WHERE This is the most popular location at Everett and its located next to the Hilton Garden Inn Hotel and the Boeing´s Center of Flight Aviation Museum where the factory tour starts. Parkt your car there and walk just a few meters to the Hotel parking to climb up a small hill from which you can take great pictures.Otherwise you could go inside The Future of Flight exhibition which offers you an entrance to a large balcony, which has great elevated view onto the RWY 16R, but the entry costs 10 USD (it is included if you buy a more expensive exhibition ticket). WHAT From this spot you can get every arrivals and departures on rwy16R without any problems. A ladder isn’t necessary at this spot. MISCELLANEOUS A few hundred meters to this spot, there is the museum with a shop that provide everything you want. Taken from the balcony of the Flight Aviation Museum. WHERE From the Hilton Garden Inn Hotel, take the Paine Field Blvd until you arrived at the intersection take on the left to reached Mukilteo Speedway until you have the possibility to take on the left on Bernie Webber Dr. Then drive just a few meters park your car next to the way. WHAT From this spot you can get every arrivals and departures on rwy34L without any problems. A ladder is necessary other wise the approach could be tricky. MISCELLANEOUS A few hundred meters to this spot, there is a petrol station with everything you need and even a restaurant across the street. You can easily walk from the spot to this location. WHERE It is a parking at the end of 109th St SW, probably for employees, but fully accessible to anyone. On the Google Maps it looks like being freshly finished, but in reality it was already fully available some two months ago when I was there. Just park the car and you see the threshold RWY 34L in front of you and when you want to photograph something, step out of the car and go to the grass to the left. WHAT From this spot you can take photos on final approach before touch-down. A side-on short is hard to get as the fence gets in the picture then, but slightly angled photos are fully possible. MISCELLANEOUS There is nothing close-by to buy drinks/foods. Brink with you what you need. Sorry, but we can not provide sample pictures here. If you have photos from this location please don´t hesitate to contact us. 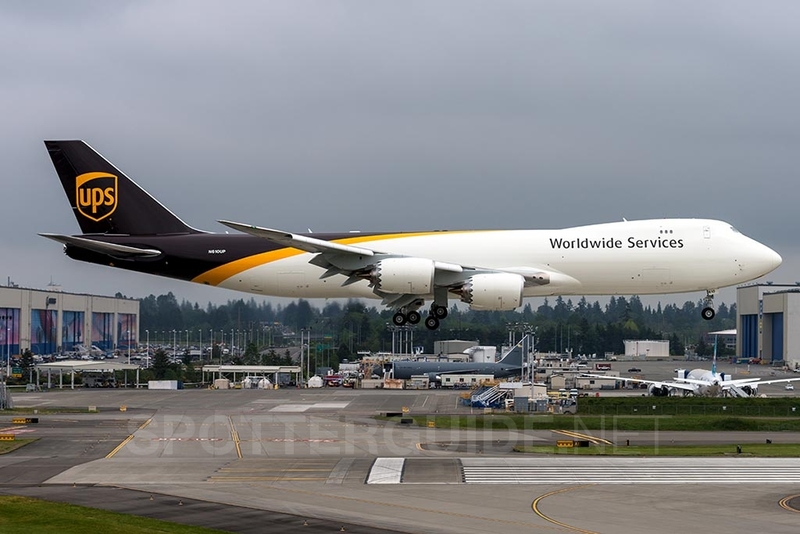 I have visited Seattle area at the beginning of May 2015 and I would like to add information about a morning spot for RWY 34L. At the end of 109th St SW (on the eastern side), there is a small (free) parking, from which you can observe the threshold of RWY 34L. As the fence to the left goes down, it is possible to take nice shots of aircraft right before touch-down on RWY 34L from the elevated grass area next to the parking lot. Also, if there is anything taxiing to the RWY 34L for departure, you can take a shot of it through the fence, although the TWY is extremely close. The same is possible when the aircraft is already on the RWY, but on a hot day heat-haze can be a problem then. PAE is a very interesting airport, however you must be lucky to catch some interesting visitors, sometimes there is no movements for hours, except for the local aeroclubs. Dreamlifters come and go usually at least twice a day on weekdays, but the test flights or deliveries are very unpredictable. Just to add to your info on spotting location 1: The Future of Flight exhibition offers an entrance to a large balcony, which has great elevated view onto the RWY 16R, but the entry costs 10 USD (it is included if you buy a more expensive exhibition ticket). And one more information: When the wind is not particularly strong, landings and take-offs can happen from both directions, according to the apron where the aircraft is based. Hope this helps other spotters visiting the area. Thank you so much for your help, everything was updated 🙂 !